Engine coolant is important to cool down your engine in scorchy summer. It raises the boiling point of water in summer and protects your engine from damage. It keeps the engine from overheating while driving in extremely hot weather. Though the best antifreeze coolant will last for a long time, you need to replace this after a certain period of time. Buying the right coolant is tricky than you imagine. Because you may decide to select one according to color as the previous one. But you’re totally wrong! Color is not a standard to select this type of product. You need to know more detail. Don’t panic! In this guideline, I’ve gathered the most popular coolants currently available in the market for hot weather and other basics about it. This is the best coolant you can ever got within affordable range. 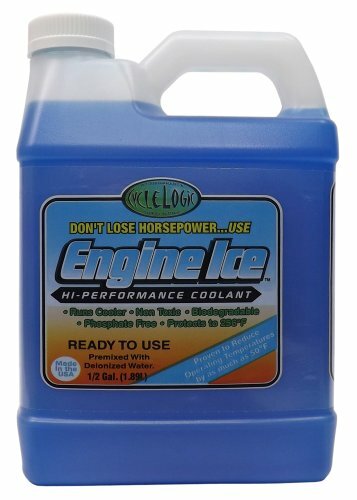 Engine Ice (item no TYDS008) has met all the standard to declare it suitable for any materials and vehicles including demanding cars and high performance bikes. This coolant reduces operation temperature of car engine up to 20° Fahrenheit, maximizing energy efficiency of your racing car. The boiling temperature is 256° Fahrenheit, that is perfect to protect car engine from damage in the hottest days of summer. Its freezing temperature is -26° Fahrenheit, perfect for regular winter days. Its main contents are propylene glycol which is diluted with deionized water. This coolant is pre mixed, so, you just pour it in your vehicle's cooling system, no need to dilute it with water. To get all its benefit, just make sure to flush your car’s cooling system three times before applying this liquid. This material is convenient to recover seal failures and water pump gasket. This premix coolant has several features that can be found in pricey coolants. Such as, its service life of 150,000 miles/5 years. 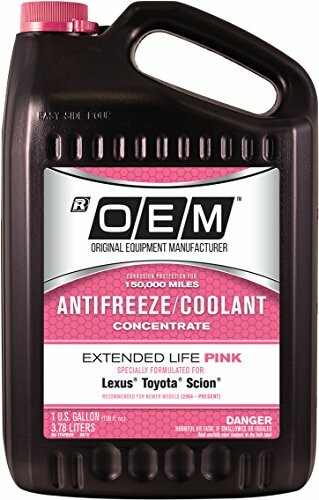 This coolant is formulated with aliphatic organic additives which meets GM DEX-COOL requirements. This chemical has corrosion resisting properties but it is not proven to seal micro leaks. But it is evident that this cooling agent will not corrode the water pump gasket of your car, it does not contain any erosion causing substances to damage metals. 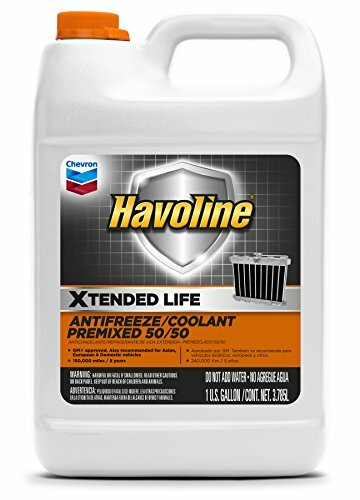 Havoline coolants are compatible to most of the new and old European, Asian and US made cars and light trucks. For summer days, this coolant is widely used and proven to be good and economic to use any medium range vehicles. It is not recommended to use in racing cars and bikes. Only suitable for light automobiles. 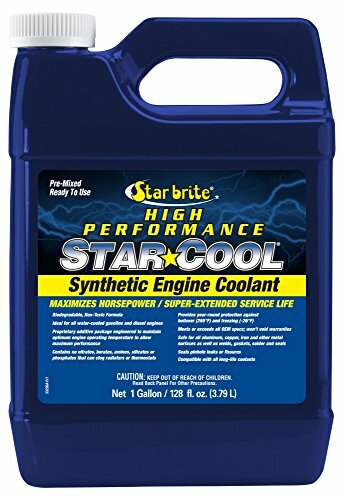 The manufacturer Star brite claims this Star-Cool Premium Synthetic PG Engine coolant to has the longest service life for diesel engines. You get 750,000 miles/ 7+ years/ 12,500 hours in diesel engines with Star-cool coolant. On the other hand, for gasoline engines, this coolant will be usable up to 2+ years, 250,000 miles or 4,000 hours. poly organic additives (POAT) are mixed with deionized water in a propylene glycol base to make this antifreeze non-toxic, technologically advanced and efficient. This premix coolant has meet OEM specifications. Other than cooling the engines in summer days, this liquid heals small scratches on metal and make them corrosion resistant. 265°F bloi over and -26°F (with 15 psi caps) freezing point makes this coolant ideal to use all year round. Though it is claimed to be suitable for high performance cars, in reality it is less suitable to cool powerful engines; mostly convenient for cars and light trucks. Confused about what to put in your car as coolant? You can never be wrong about this universal coolant (719005) by MaxLife. It suits any model, made in any country. Works wonder even in high mileage vehicles. 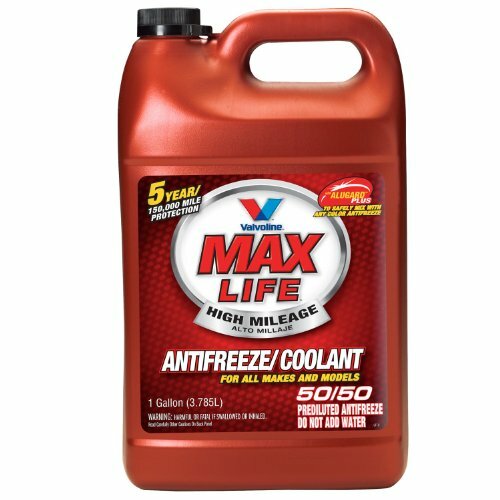 Besides ensuring 150,000 miles/5 years of service life like any other coolants, MaxLife Antifreeze gives the highest protection against erosion and rust. The reason behind such protective feature is its Alugard Plus substance. It also lubricates the seals and pump gasket. This is the most economic premix coolant of this list but quality is not compromised in this product. It saves your vehicle from boiling over and freezing up. The only matter that keeps it from being the top pick is, this coolant is OAT chemistry; hence, can not be mixed with IAT and HOAT type coolants. Suits any model and make. Not compatible with IAT and HOAT chemistry. The coolants we find in market, labeled ‘suitable for motorcycle’ are less effective for motorcycles compared to cars. Motorcycle engines are different from car engines, hence, required different coolants. 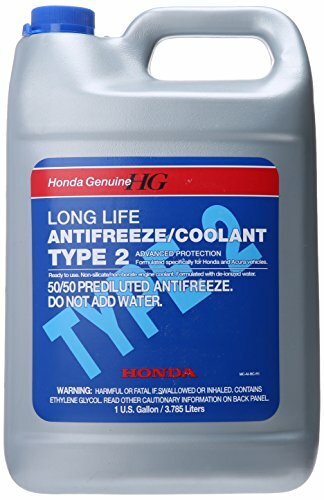 This coolant from Honda is meant for Honda and Acura motorcycles and proven to be effective as coolant and antifreeze for cars as well. Ethylene glycol is diluted with deionized water in 50/50 ratio to make this type-2 antifreeze, ensuring 10 years or 120,000 miles long life for cooling motorcycle engines. Metal and non metal parts and machineries of motorcycles stay protected because of the long-term protective characteristics of this Genuine coolant. It is free from any form of corrosion causing chemicals like silicate or borate. This is premixed, and blue in color. This product is reasonably priced. It is ethylene based, not polypropylene based. So, it is toxic for health. This is the only issue of this coolant. Other than this, it is a great option to cool down motorcycle engines in summer heats. Recochem has been the trusted name of vehicle coolant manufacturer. Most of the garage owners stock this coolant because of its high compatibility. It goes with any car, light trucks, motorbikes and can be mixed with other coolants irrespective of their colors. This coolant is greenish yellow in color and it is premixed. It has corrosion inhibitors to protect your car cooling system from abrasion and stops spreading out of existing rusts. 5 years or 150,000 miles is the minimum service life of it but it goes much longer. Aluminium engines and radiators stay safe with this coolant. Adding Supplemental Coolant Additives (SCAs) with AF2100-6PK Extended Life makes it effective to use in heavy duty vehicles as well. Now, you can get this antifreeze for a lower price in Amazon. Ethylene glycol is the prominent component of this antifreeze. This substance is proven to be highly efficient as coolant and antifreeze. The coolant has impressive properties to protect car engine from abrasion and scale deposition. It comes in lilac color. You can make this G13 coolant even more versatile by mixing it with G11, G12 and G12++ coolants and make coolants of your own requirements. The price is slightly higher than other coolants, but if you are concerned about your car’s aluminum radiator, then you must invest in this cooling material for your car’s safety. The only thing that can be improved about this material is its ethylene base. Propane based coolants are less toxic and safer. 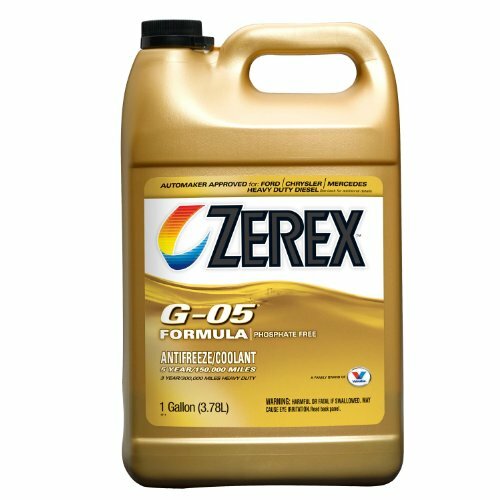 This (ZEREX G-05) antifreeze coolant from Valvoline is widely used in heavy duty vehicles like trucks. This is compatible to gasoline and diesel engines. Compared to conventional concentrated coolant, this one has low silicate; hence, not harsh on any metals, even sensitive ones like aluminum. This coolant is mostly ethylene glycol-based, giving long operation life to heavy vehicles. The nitrite in ZEREX G-05 has deposit control properties to protect cooling system from forming scales and cavities. To make your customized coolant, this coolant can be used as a base. This solvent allows you to mix with other high quality coolants. 50%-70% dilution of this coolant with water is sufficient to prepare your car for summer heats and giving it ultimate corrosion resistant properties. High quality defoamer system does not cause damage to original vehicle finishes. For these features and affordable price, this coolant is most recommended one among concentrated category. Suitable for heavy duty vehicles. Ford has brought this product specially to protect ford engines from rust and abrasion. But this coolant/antifreeze is compatible to any diesel or gasoline engines. Its long service life is convenient as you get long interval between coolant changes. A solution of 50/50 deionized or distilled water with Genuine Ford Fluid has boiling point of 265°F (129°C) and freezing point lower than -34°F (-37°C). This feature makes this coolant/antifreeze suitable to use all year round. This coolant is OEM type and comes in gold color. It is allowed to mix with other gold colored coolants. It is ethylene glycol based, so, caution should be taken while dealing with this product. 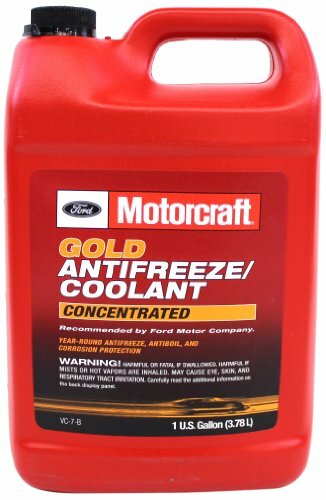 As this antifreeze/coolant is launched by ford, hence, its effectiveness and quality is expected to be as good as their cars. Protects against corrosion and rust. A good leak repair can save you from costly repair bills of cooling system leakage. 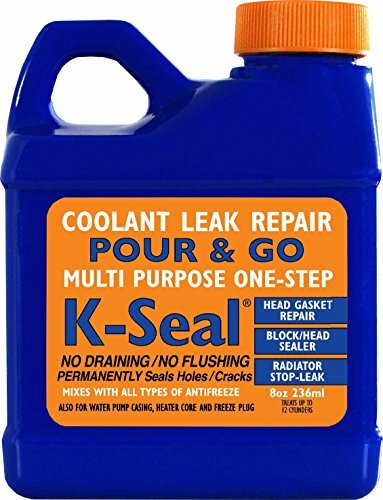 K Seal is proven useful is seeking and sealing leaks, cracks and holes every parts of vehicle cooling system. Ceramic microfibers and cooper of this seal repair flows through the cooling system, finds out the problem area and mesh together to fill up the gaps permanently. Its particles are perfectly sized to seal the leaks only, not to block the cooling system. Convenience of application is the most popular feature of this repair. You don’t have to flush or drain your vehicle’s cooling system. Just shake the bottle, add this additive to the cooling system and run the engine. This repair is compatible to any coolant and any engine. It weighs several ounces and costs little but saves your car from leaks which may in long run cause grave damage. It may cause discoloration of the coolant. In a cold climate, there is always a possibility that the water of your car cooling system may get frozen. This may damage the entire system including bursting radiator and cylinder jackets. To prevent this type of accident people uses some additives known as Engine Coolant or Antifreeze. You can even use them in the hot climate as it also prevents the same water from boiling over in summer. 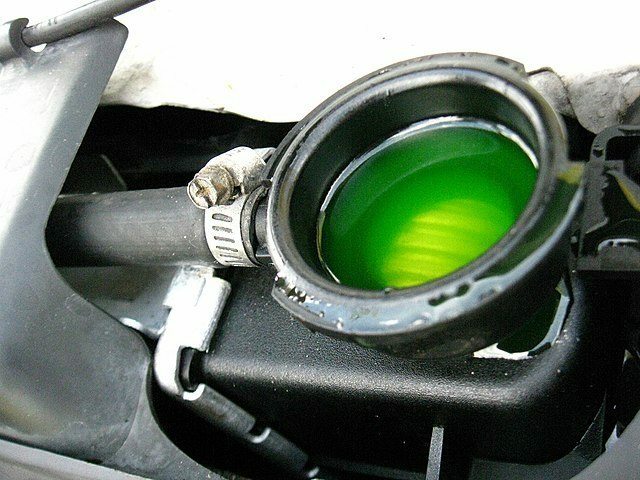 So engine coolant or Antifreeze is a clever liquid solution that controls your car’s engine temperature. It is ethylene glycol based liquid and can be added to water to reduce the freezing point. It keeps your car running even if the temperature is decreased or increased by reducing the freezing point of the water-based liquid and increasing its boiling point. As we all know that the boiling point of water is 212°F or 100°C and freezing point is 32°F or 0°C. But when you mix water with ethylene glycol both boiling and freezing point of water can increase by 235°F or 113°C and freezing point of water can decrease by -67°F or -55°C. When water becomes frozen it expands and crystalized. But if you add the antifreeze to the water, the molecules have to struggle harder to join together to crystallize. Their struggle reduces the freezing point. So by controlling water molecule, engine coolant helps your car engine to run in any temperature. Different types of cars need different types of coolant. You should know well about your car type and the required type of coolant before buying. Basically, there are three types of coolant available in the market. It contains phosphate and silicate to resist corrosion, used for older cars and need to flush after every 36000 miles or every two years. To inhibit rust and corrosion different manufacturer use a different chemical in this type of coolant. These are long-lasting than IAT but incompatible with older engines. OAT can be the best coolant for the aluminum engine. It needs to replace after every 150000 miles or every five years. It contains silicate phosphate and nitrites. It is compatible with almost all type of engine. You can replace this antifreeze after every five years or after 150000 miles. 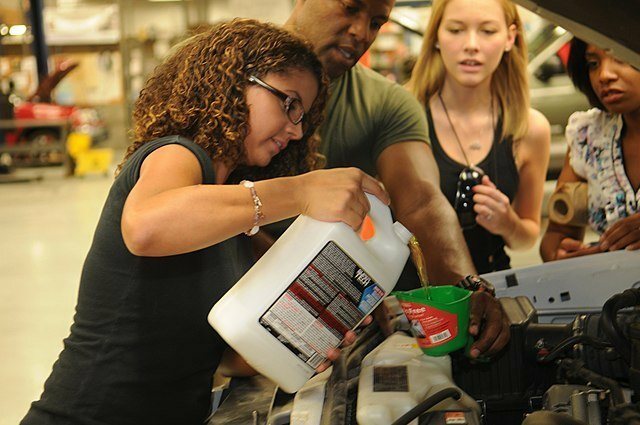 Must check the engine type before buying your engine coolant. Because diesel engines are different from petrol engines. Best practice is to look through the manufacturer handbook, understand the engine type and buy their recommended coolant. Best radiator coolant for your vehicle is determined by the climate you are living in. if you’re living in an area where the temperature often drops below 34°F, you should consider 70/ 30 or 60/40 ratio of antifreeze and water. Before buying antifreeze for your car you just need to keep in mind that, the more the coolant ratio, the lower the freezing point. While making a purchase of engine coolant for high performing cars, you need to consider the type of antifreeze your car needed. Because every vehicle needs a certain type of coolant to perform best. You can’t pick any of them randomly. Some coolant comes in pre-diluted with distilled water and some may need to mix before using. Don’t forget to check the label of the bottle to determine that if it is ready to use or need to mix with water. So these are our top 10 engine coolant for hot weather which can be used in cars and bikes. Hope this buying guide will help you to select the appropriate coolant for your vehicle. Most of the coolant can be used up to 2- 5 years. But you can check the water if there's any sludge or rust in your radiator, you need to replace with new coolant. The best way to choose the right antifreeze for your vehicle is following the manufacturer's handbook.